Hello. For the next nine days I will be visting Japan as a member of the 2011 Keizai Koho Fellowship program. The fellows for this year consist of 10 social studies teachers from the United States. We will be visting schools, factories, businesses and historical locations in Japan in order to better understand Japan and the Japanese culture. I will be posting some reflections and thoughts from this experience a little later but while I had a little time tonight I wanted to post a couple pictures from our experiences today. Many of you are probably aware of the devastating EF5 tornado that hit Joplin, Missouri on May 22, 2011. Over 150 individuals lost their lives on that Sunday afternoon and the cost to rebuild Joplin has recently been estimated at over $3 billion. The estimated cost of rebuilding the Joplin School District alone is over $150 million. This tragedy has touched the lives of many here in Missouri. I live in Liberty, Missouri - around 170 miles north of Joplin - and there have been many opportunities to help Joplin through food drives and monetary donations. Yesterday, I received an e-mail from Bill Gerling, Social Studies Consultant\Assistant Director of Assessment for the Missouri Department of Elementary and Secondary Education. Bill forwarded on a specific request which I thought social studies teachers across the nation would be interested in if they want to help their fellow social studies teachers in Joplin. Amber Travis is a social studies teacher at Joplin High School, a building which was destroyed in the May 22nd tornado. The 12 teachers who make up the social studies department of Joplin High School have lost everything and are in need of all the supplies and materials required to start school in the fall of 2011. I don’t personally know Amber Travis and am only passing along this request but I know that sending materials to Joplin is one thing I can do to help a fellow history teacher and the students in their classrooms. The Joplin School District is also offering a "Adopt A Classroom" program for anyone looking for ways to help Joplin students. Please pass this request along in any way you can - blogs, e-mails, Twitter, etc. 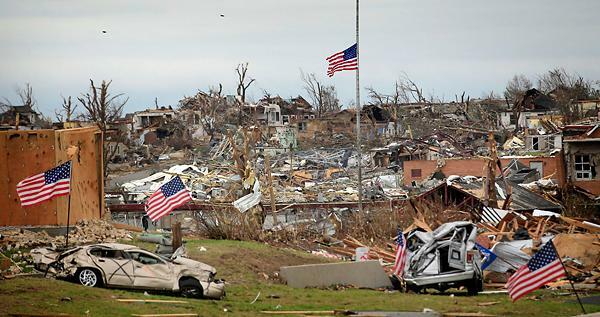 Our thoughts and prayers continue to be with the people of Joplin.